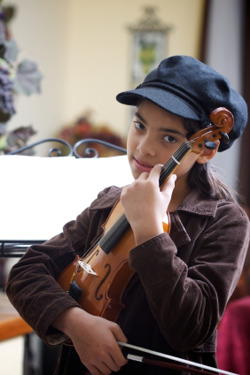 Most violin students begin their musical journey with a rented violin. 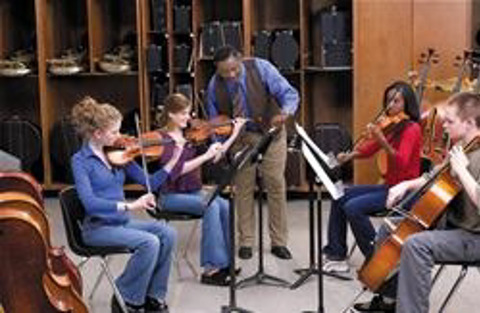 Students can try the violin to be sure it's the instrument they want to play. Violin players play progressively larger instruments as they grow and renting allows them to move up when they grow to the next size. 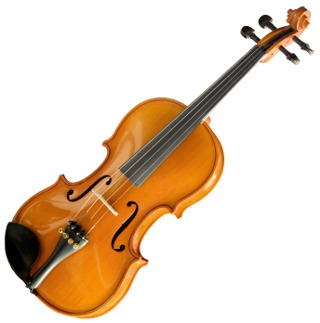 The rental violin takes the initial wear-and-tear of learning to play. The maintenance and replacement plan keeps the violin playing well, repairs it if it's damaged, and replaces it if it's lost or stolen. Renting allows time to see how serious the student will be and to determine what kind of violin is right for the longer term. A portion of rent can be applied to the purchase of a violin. Renting a violin at Amro is simple and inexpensive. You choose the one you want; we can help. Rent is as little as $21 per month. You may continue renting for as long as you like or return it to Amro any time after the first 2 months. Up to 12 months of the rent you pay can be applied to the purchase of a violin — not just the one you have rented but a new or used one in the size and type you want. The music book and accessories your teacher has selected. A Maintenance & Replacement plan that covers your violin if it's damaged, lost, or stolen. Service at your school. Amro's representative comes to your school on a regular schedule to make sure all instruments are playing properly. A violin that is adjusted and approved by professional violin technicians and is guaranteed appropriate for learning. More teachers recommend Amro and more Mid-Southerners rent from Amro than all the other stores combined. Ready to rent? Follow the link below to rent your violin today. Do you still have questions about violin rental? Here are some FAQs about renting. Or give us a call at (901) 323-8888 or email us here.